Art journal page backgrounds are a lot of fun to create, so today I have a video of three different acrylic paint art backgrounds AND a free printable of the backgrounds for you. 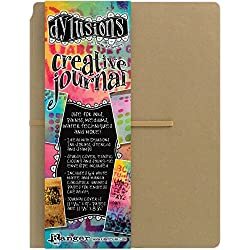 The journal I am using in the video is one of the Dylusions 5 x 8 journals. It’s an older journal from a couple of years ago, filled mostly with scribbles and notes. Most of the notes in the journal are old and I don’t even know what the heck I wrote or why I wrote it. Since the notes are old and not important, I decided to make some art journal page backgrounds with it. These are perfect to begin with because whatever was written there before will just add to the layers. My first art journal background page was pretty simple – my goal was to just get some paint on the page! I don’t really think too much about what I’m painting or where – the goal is to just cover up the paper. In the first page, I started with a very wet brush. This gives the white paint I used a more translucent effect. This page is also a bit of an example of different ways you can apply my same philosophy I use for block by block journal pages. The second page I created I started with just up and down strokes of teal, white, orange, magenta and yellow. Then we experimented with a little bit of gesso and made some swirly textures with the other end of our paint brush. I also had some fun adding some stripes by masking the area I was painting with a piece of card stock. This gives you some nice straight lines to contrast with the fuzzy paint brush strokes. In the second page I also explained a little about how I like to make my pages somewhat symmetrical. For example, if I put yellow in the right hand corner of the background, I also like to put some yellow in the lower left or directly across on the left side of the paper. It’s totally not a rule that you have to follow, but I do think it helps give your eyes some direction on where to go – especially when you use a color like yellow! Our last and final page is probably the messiest of them all, but I had a lot of fun scraping the page with paint using a credit card. I also wanted to share a little bit about the differences between zinc white and titanium white paint. 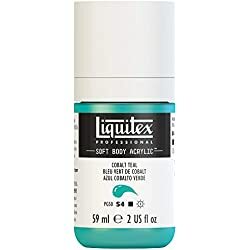 Zinc white does not have as much pigment in it as titanium white, so the zinc white is way more translucent. 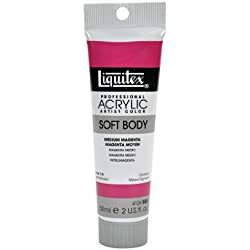 The translucent effect is even more so noticeable when you use something like Golden Fluid acrylics zinc white! 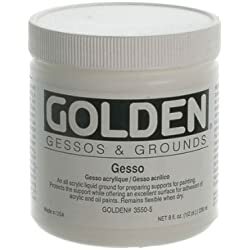 If you ever want to go over your different paint textures with white but still want the background to be visible, Golden Fluid Acrylics Zinc White Paint is the one to go with! Titanium white has much more pigment, so you’ll notice in the video it gets MUCH more coverage – you can barely see the background! The credit card is a lot of fun to use to experiment with textures and blending colors- or you can even press the card into the page to stamp some neat looking backwards numbers. Another thing I did on the third page was use a piece of craft plastic to get a neat looking grid stamp/stencil effect. It’s what I had around my house – I’m sure you could use any type of plastic mesh/netting and have fun with different textures and patterns on the page! I didn’t speed up the videos at all, so it’s a little bit on the longer side around 23 minutes. It’s also for the most part 100% unplanned, unscripted and unedited. I did edit out one part where I accidentally splashed gesso all over my desk and had to clean it up…ooops! One of the things I talked about in the video was how sometimes I will take pictures of my artwork while it is in progress. This way, if later I decide I don’t like what I did, I can always go back to the point where I did like it! Another advantage? You can always print out your pages to use for making other art in the future! You can either print it out and take it in a completely different direction, or even cut it up for collage. 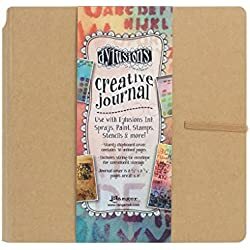 You could even print out the art journal backgrounds onto sticker paper and then you could cut it for collage and not even have to worry about needing glue. Another nice thing about scanning and printing out artwork is you can always have fun with changing the colors in your favorite photo editing program. Anyways, you can download these printable art journal pages and use them any way you would like! 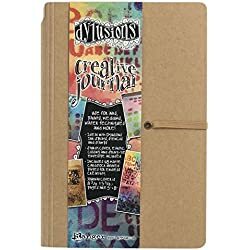 Use them for collage, doodle on them, put them in a junk journal – whatever creative way you’d like as long as you have fun with it! Included in the download is three high-resolution .png files and a PDF file. I hope you enjoy these and of course if you do make anything with these printables I would love to see what you create in our Facebook group! And…if you have anything you would like me to make a video on about next, please do let me know in the comments section below!